Over the years, I’ve posted several of my Cafe Rio Copycat recipes, which have been favorites to many of you on ABK. To make it as simple as possible for you (and me) to find and make our favorite Cafe Rio menu items, I’ve compiled all of our family Favorite Cafe Rio Copycat Recipes recipes on one post! First on the list is the sweet pork. You can’t do Cafe Rio without the sweet pork. I have two ways to make it- in the Instant Pot or slow roasting it in your oven. Either way, you can’t go wrong. 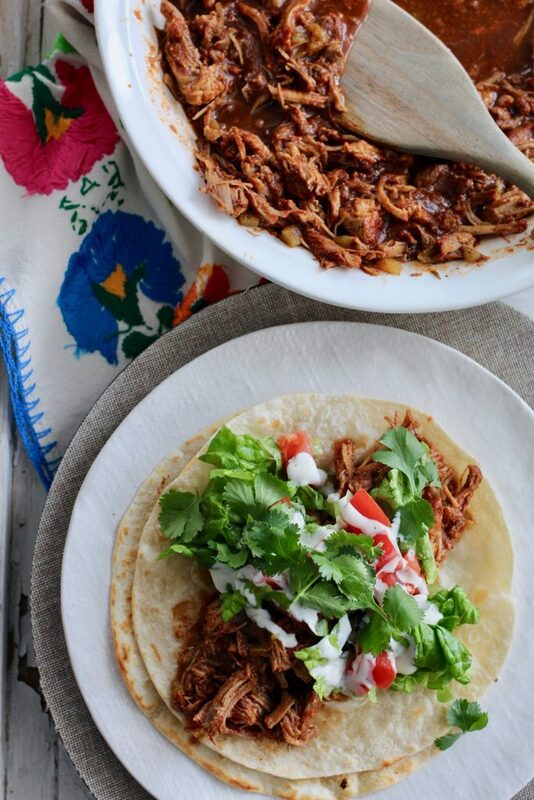 This pork goes great with so many different Mexican dishes. Enchiladas, tacos, quesadillas, nachos, salads, you name it! If you don’t love sweet pork, try this recipe for Instant Pot Chile Verde. 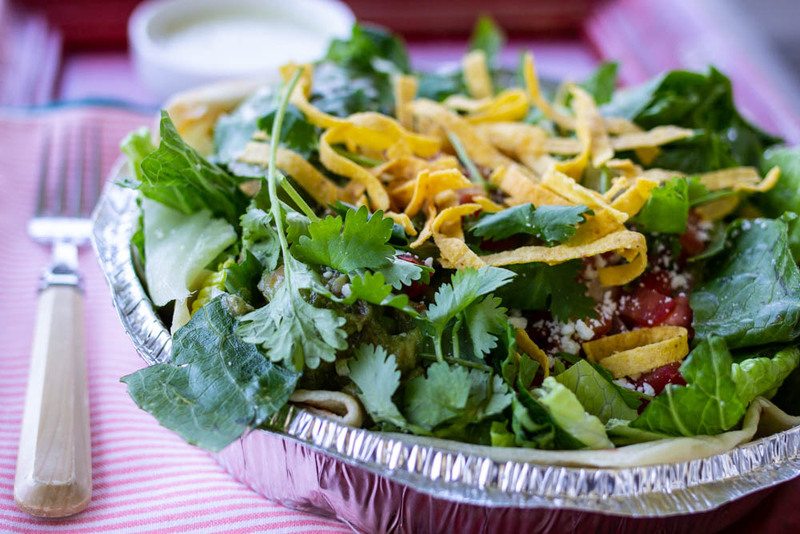 Cafe Rio Style Sweet Pork Salad – this is the oven roasted version. Next, you’ve got to have the cilantro lime rice. 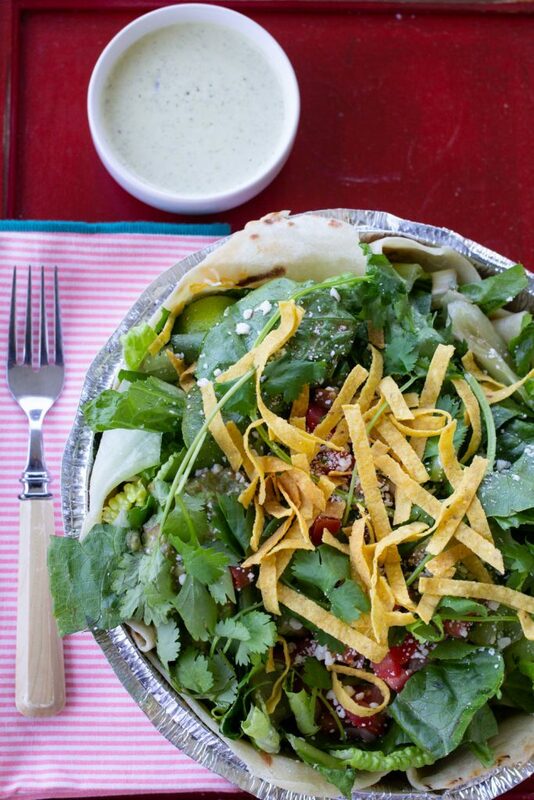 It’s the perfect side dish to compliment all of the Cafe Rio tacos and burritos and salads. It’s a little tangy, fluffy, and packed with flavor. 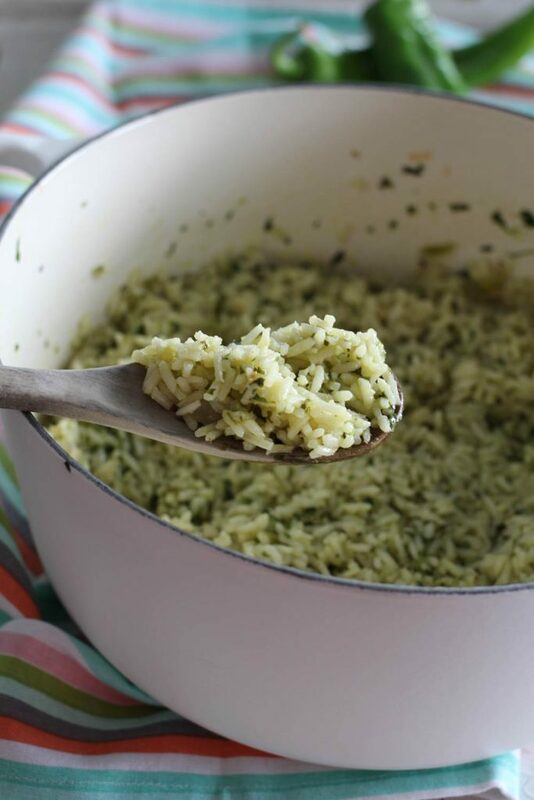 I like this recipe better than the restaurant version and I think you will too! It’s also perfect for any meal as a side dish. If you’re making the Cafe Rio salad, then you absolutely need the creamy tomatillo salad dressing. It’s my favorite dressing in the world. It’s creamy, tangy, and a little bit spicy. 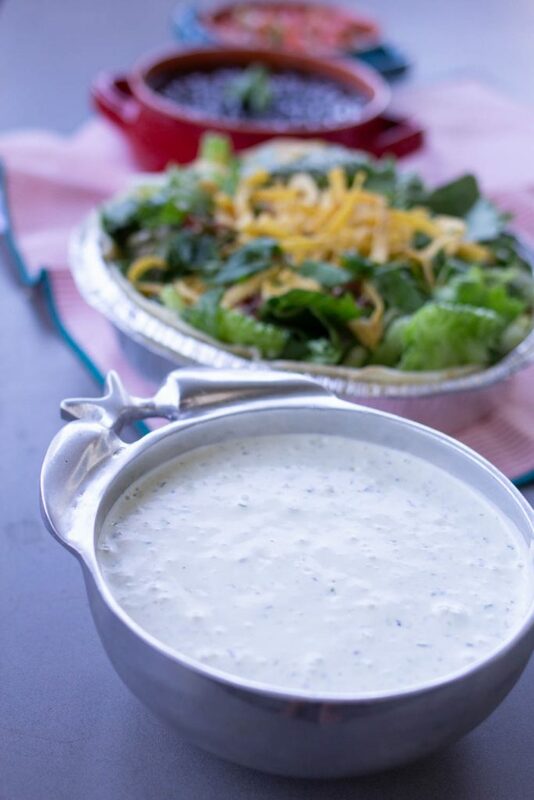 Everything you want in a dressing. You can also adjust the heat level in the dressing. At Cafe Rio, the dressing is quite spicy. I like it a little more milk, so I seed the jalapeño and just leave a few seeds in the dressing for a little kick. This recipe makes a huge amount so you can serve it on everything from salad to fish tacos during the week… or the recipe is easily halved. Oh, and one huge bonus, the dressing is one of the most expensive items at Cafe Rio (if you are purchasing dressing for a crowd), and one of the easiest menu items to make at home! 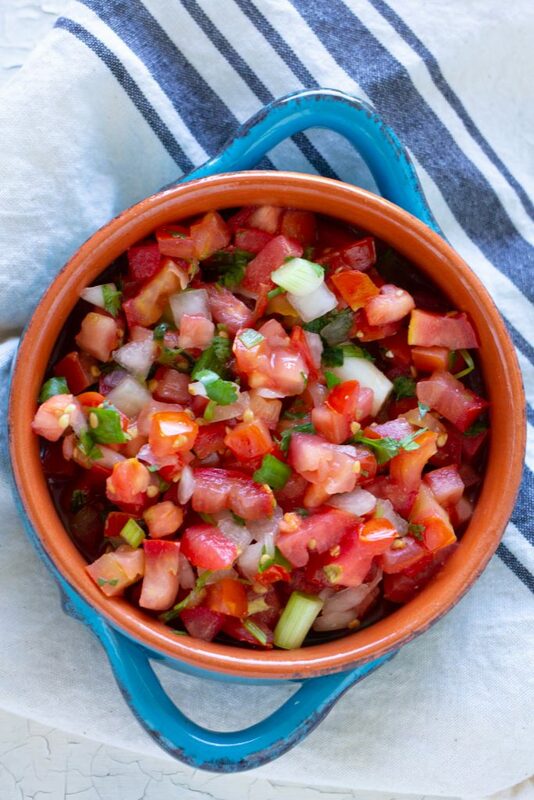 Pico de Gallo is the frosting on the cake to Mexican food. It completes so many Mexican dishes. You can also just eat it with chips and be good to go. I like making this recipe at home and then enjoying it throughout the week! Do not leave me alone with a bowl of guac and a bag of chips. It’s my weakness and I could eat it faster than you can say guacamole. 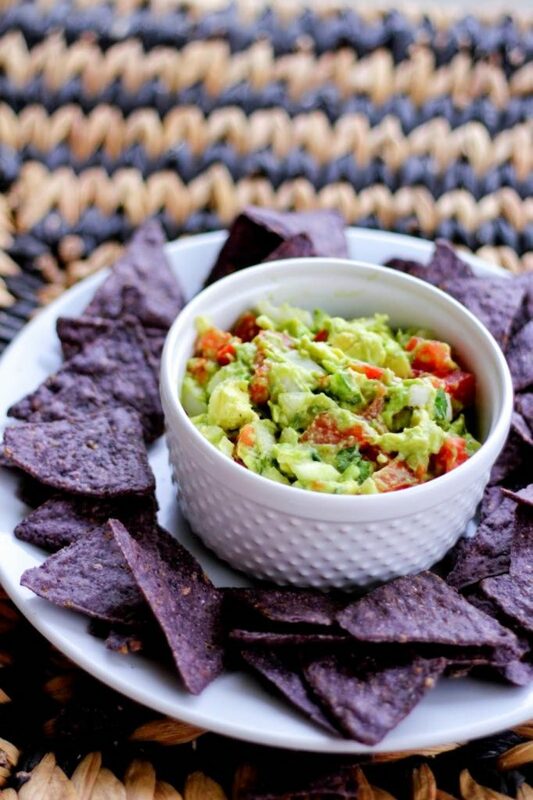 This chunky guac is amazing. It’s flavored just right and even has chopped tomatoes in it, which I love! Also, I love this recipe more than Cafe Rio’s guac. Where’s my “don’t tell” emoji?? What is Mexican food without the black beans? 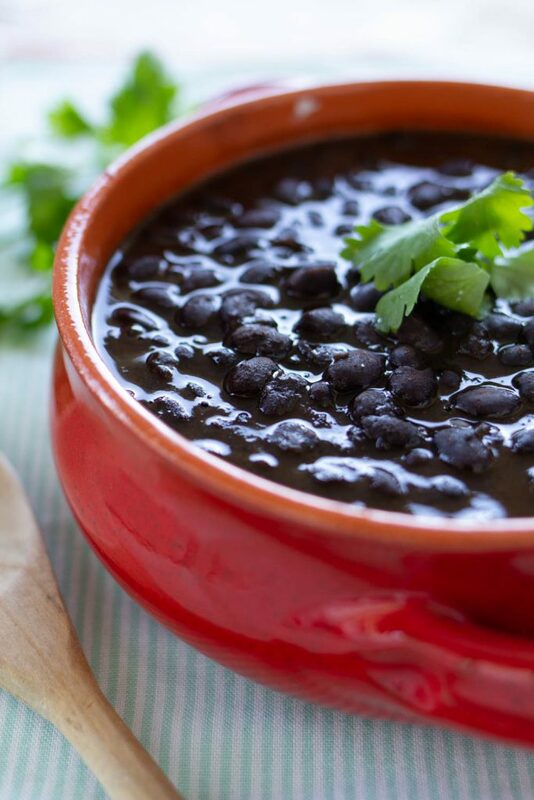 These homemade black beans taste exactly like the ones you’ll find at Cafe Rio. A little cumin, a little cilantro, and a can of black beans are mostly all it takes to whip these up.This recipe also gives measurements for making a HUGE pot of beans, as well as a family size recipe. 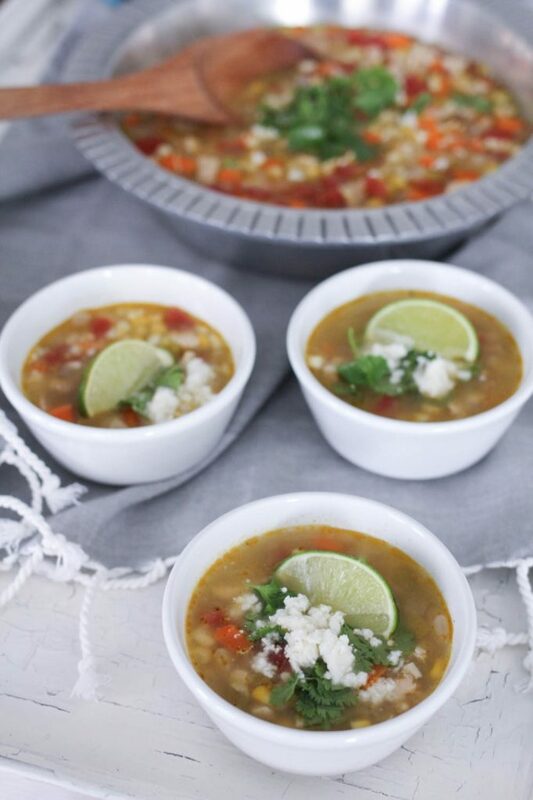 I love when the weather cools down enough to mix up this chicken tortilla soup. This is the closest you’ll get to the Cafe Rio version without having to buy it. 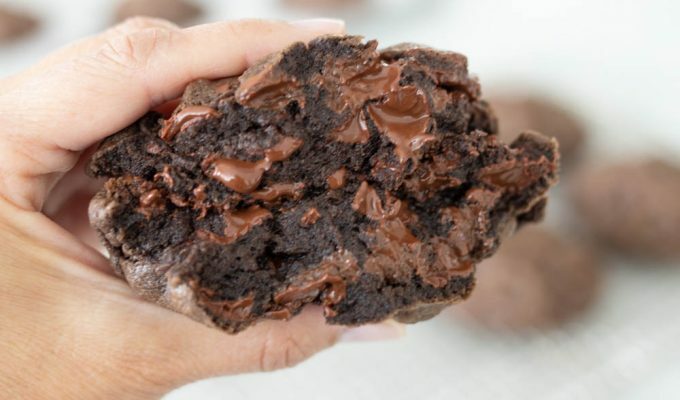 So tasty and a recipe everyone in the family will love. It takes less than 30 minutes start to table. Make it alone or as a side and serve it in a crockpot for an easy way to keep it warm at a gathering! 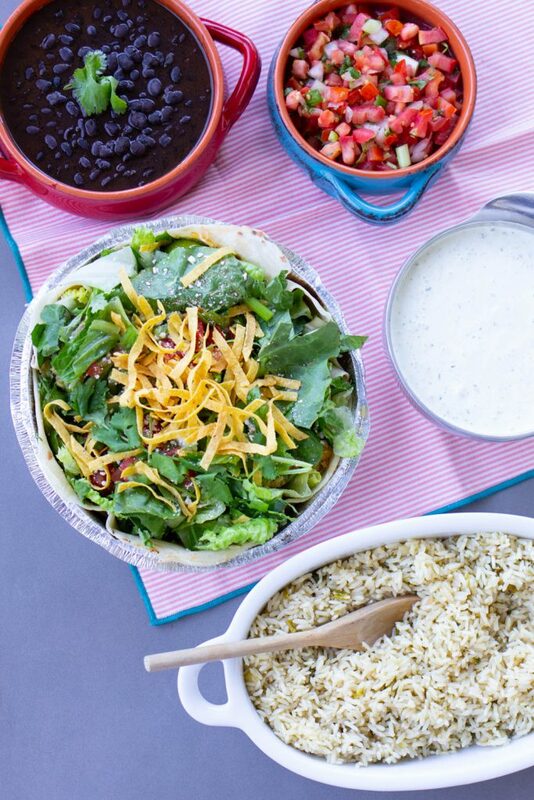 So there you have it- all of our Favorite Cafe Rio Copycat Recipes in one post. 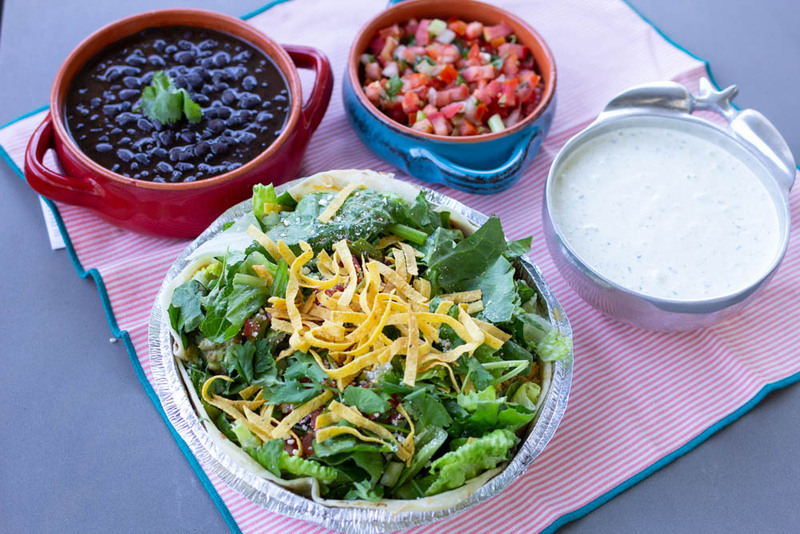 Save or pin this post in your favorites so you can refer back to it anytime you have the craving for some Cafe Rio!